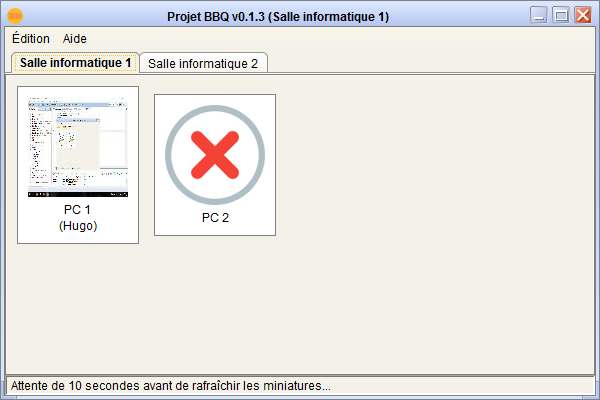 Powered by SkyDocs v0.7.4 Beta. This page list all my desktop programs. Most of them are open-source so don't hesitate to check the source code ! Those programs are maintained and updated frequently. They are really safe to use, I swear ! 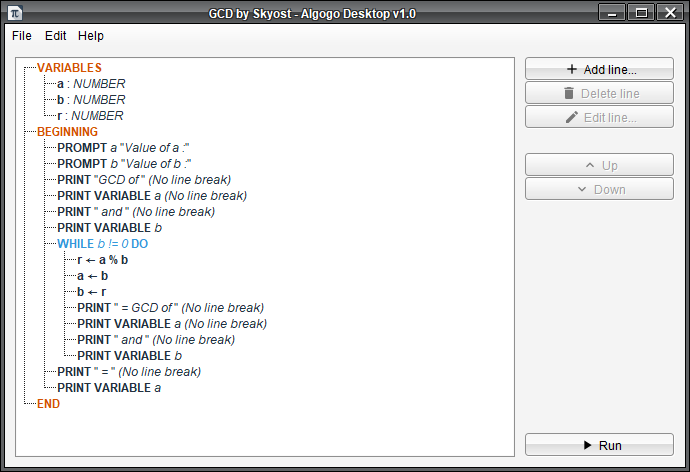 Algogo Desktop is the desktop implementation of Algogo. 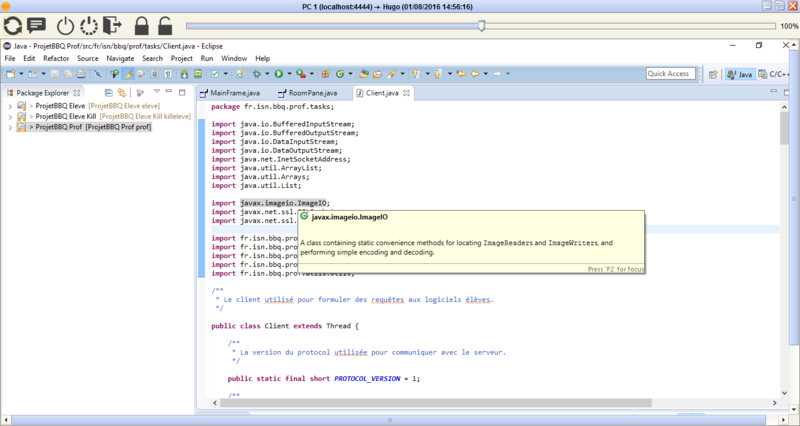 You can use it on a computer and it is cross-platform (Windows, OS X, Linux, ...) : it can be executed on every computer that can hold Java. As a classic user, you may be interested by this version. Monitor computers over the network. Generate a documentation for your project. 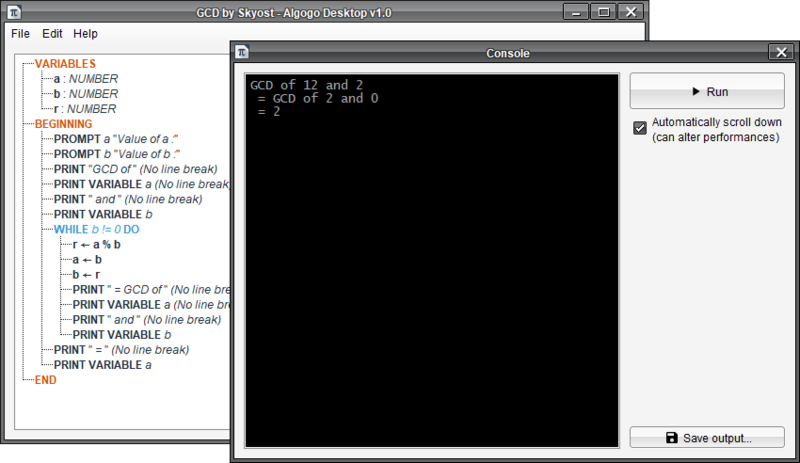 Those programs are deprecated. Some of them still work, but if you still want an update, don't hesitate to contact me ! Skyolauncher is a lightweight Minecraft launcher that you can customize by getting the source code. Status : Abandonned but I really want to update it, so if you are interested, don't hesitate to contact me !